Quality stones, skill workmanship, advanced machines together with excellent service, in-depth mining and fine processing capabilities and plus the never compromising quality attitude, all contributes to our success in the granite export business. 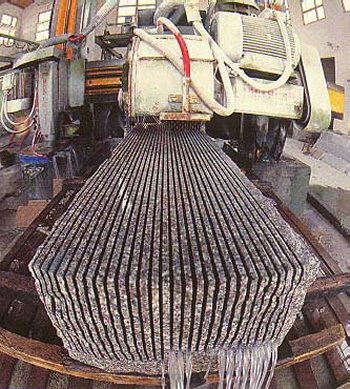 Our quarry and production plant can guarantee you in both volume quantity and stable quality. Our advanced and modernized equipment is imported from Italy and Taiwan to cater for precise cutting and fine polishing. The company derives its strength from strong orientation towards quality management practice in the plant. Standardized practice is implemented to deliver quality product to our customers. The company has designed calibrated standard for quality assurance. Besides SDC has good experience in handling customized orders from its customers. The flexible manufacturing system we employed enables us accommodate even the most demanding customers.